These photographs were taken April 7, 2008, during Sonia's April 7-10 visit to Cornell University (her alma mater), Ithaca, NY, where she met and spoke with students and teachers. 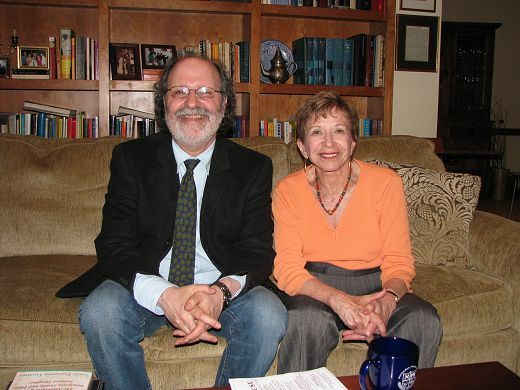 Sonia with Professor Ross Brann, dean of the Alice Cook House (ACH) and Professor of Judeo-Islamic Studies, at the apartment of Professor Brann and his wife, Eileen, at ACH, where Sonia stayed during her visit. 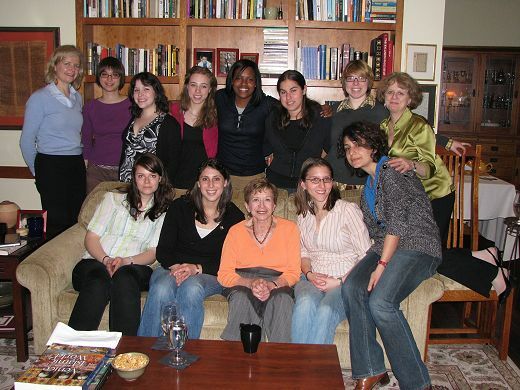 Sonia with students at the Brann’s apartment, along with Gretchen Orschiedt (Sonia’s contact in the alumni office), standing on the farthest left, and Eileen Brann, standing on the farthest right.